Now a $15 Linux Computer? Looks like everyone is trying to build a smaller and cheaper Linux computer. FXI is bringing Cotton Candy for about $200, production for $25 Linux computer Raspberry Pi has already started and now Rhombus Tech is aiming to deliver a low cost $15 (estimate) Linux PC Allwinner A10. 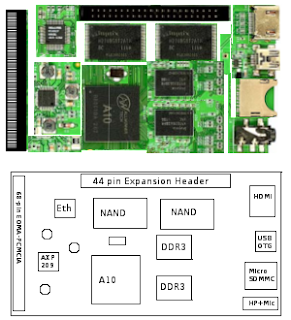 Allwinner A10 will have fully GPL compliant hardware and is more powerful then Raspberry Pi. At least on paper now as the production has not started yet and there are no prototype builds. However, the development is going on rapidly and sooner or later they will deliver it. This many features in $15? How's that? Just two simple concepts everyone knows - Mass Scale Production and Manufacturing in China. 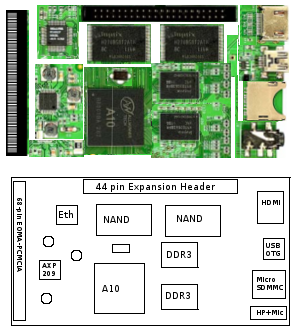 Allwinner A10 is developed for both educational and commercial retail purposes .You can get the GPL source code from here. For more info read their FAQ.